Promoting American history in Europe has been a thankless and even dangerous business. Charles Kingsley as regius professor of modern history at Cambridge in 1866 endorsed a proposal that Harvard send someone to lecture on American history every other year, but was angrily rebuffed by dons who feared for the monarchy and the Church of England, one thundering that "we shall be favored with a biennial flash of Transatlantic darkness." For somewhat similar reasons, Tsar Nicholas I of Russia prohibited the teaching of comparative constitutional law in universities. The king of Naples jailed a professor in 1858 for citing George Washington favorably, and even if that story is apocryphal, its circulation hardly encouraged the open study of American history. But, sometimes nourished, sometimes abused, American history did struggle to life in European universities. Its emergence and local trajectories were uneven, since Europe was far from a homogeneous entity. Today Europe comprises some fifty countries, and any attempt to map the course of academic interest in American history in them is necessarily tentative. This chapter offers a broad chronological analysis of European historiography of the United States. It locates major watersheds at the end of the nineteenth century, shortly after World War II, in the mid-1970s, and following the fall of the Berlin Wall. While the Cold War significantly boosted the study of American history in Europe, its end ironically marked an even more rapid expansion of the field. This chapter also charts regional and national variations, including the differing experiences of writing American history in western and eastern Europe and the distinctive case of the Iberian Peninsula. It matters where history is written. In recent years, global and other influences have promoted some convergence in the practices and perspectives of professional historians, but national cultures remain resilient enough to sustain the discrete characteristics of the European academies. The recurring preoccupations of European Americanists reflect the influence of place. It hardly needs to be said that the diverse connections between the American and European continents have long commanded attention, as scholars have examined the bilateral relationships between their home countries and the United States. Colonial expansion, migration, diplomatic relations, wars, trade, and transatlantic cultural interactions are all topics susceptible to scholarly research in European archives and have often been seen as extensions of European history. When the Polish scholar Michal Rozbicki first taught in a U.S. university, his students were bemused by his treatment of New England Puritanism as a continuation of the European Reformation rather than as a "new chapter," with the focus on migrants who could not "escape" their culture. Once American history in this Atlantic perspective was well established in a particular country, though, its practitioners tended to diversify into other areas. The very distance of Europe from the American continent may also condition what scholars choose to see, as illustrated by a long-standing interest in the American experience with race. Well before the publication of Gunnar Myrdal's The American Dilemma (1944), and especially since the 1960s, European scholars have written extensively on American slavery and race, intrigued by the looming presence in American history of a phenomenon so at odds with the values enunciated in the Declaration of Independence. Lately European interest in racial and ethnic themes has sharpened as several European countries have themselves become immigrant destinations. Location has also played a role in the marked growth in recent decades of the U.S. cultural and social history fields, for while this is partly a reflection of modern historiographical trends, it is also a product of the academic structures in Continental Europe, where American history is often housed in English or American studies departments: a prerequisite of its study is the English language. The influence of location largely explains one of the most persisting European interests in American history-that is, political and constitutional history-which until recent decades have often seemed almost to crowd out other kinds. The American Revolution early inspired some Europeans; wars and convulsions in Europe throughout the nineteenth and twentieth centuries meant that state building was constantly beginning anew; and the ingenuity of the American way of government invited study. American federalism was of some interest to the political classes in such countries as Germany and Poland. The intellectual competition among European nations occasionally focused attention on the U.S. polity, as in the famous Boutmy-Jellinek controversy of 1902 over the origins of the French Declaration of the Rights of Man of 1789. The rise of the United States to world-power status and its commanding global role since the Second World War in particular meant that it could hardly be denied a place in modern European curricula, and with the end of the Cold War, several European countries had to begin political reconstruction yet again. When some U.S. historians began to fear for the survival of political history toward the end of the twentieth century, their European counterparts, only too aware of the hand of the state, had no need "to bring the state back in" and sometimes strained to understand what was new about the "new political history" that U.S. practitioners advanced. Political agendas were often closely associated with another lasting characteristic of European approaches to writing American history: duality. These studies were being composed in societies where favorable or at least evenhanded views coexisted with strong anti-American sentiments, which politically and culturally influential groups often manifested. Positive and negative images of the United States competed in the media and a range of other cultural forms, of which historical scholarship was no exception. In Communist countries, scholars countered to some degree the anti-U.S. projections in studies enjoined by the state by looking for ideologically safe topics, such as early American-Russian relations. In recent decades, anti-Americanism has been associated mainly with the Left, but in earlier periods there were also powerful conservative critics of the American experiment. When a Cambridge postgraduate expressed an interest in an American research topic in the 1950s, his adviser sniffed, "American history is not a fit subject for a gentleman." The disapprobation of the United States, expressed with varying degrees of intensity by people on both the left and the right throughout much of Europe, meant that where pro-American scholarly publications appeared, they often had a missionary air. Whether sympathetic or unsympathetic to the American cause, these political messages were being conveyed to domestic audiences. But there were not many academic historical studies of either kind. The most important consequence of this pervasive disregard was that until recently, American history was simply not practiced in Europe in any serious way. Even today there are countries where it is difficult to identify a single university post expressly dedicated to American history. The "European tragedy" haunted historical writing on the Continent in the twentieth century, one reason for the limited and often distorted attention to U.S. history. For decades, dictatorship, war, huge losses of life and liberty, and sometimes racism and genocide overshadowed the promotion of humane values. The Third Reich and Stalinism loom large in European memory. While it might be expected that nineteenth-century autocracies would repress academic disciplines that encouraged egalitarian ideas, for large parts of the twentieth century too there was little freedom of expression in some major countries. Location could mean that American history was simply not written or severely circumscribed if it was. Official ideology conditioned much of the history written in the Soviet Union and its satellites, and interwar Italy and the authoritarian regimes of Spain and Portugal throughout the middle decades of the twentieth century were hardly more receptive to balanced approaches to the United States. Scholars in democratic countries too, although not directly subject to state supervision, were exposed to ideological influences arising from their own political cultures. Although European interest in American history exploded after the Cold War, this is not to suggest that Europeans of an earlier age were uninterested in the United States, which after all was being shaped by the huge waves of migrants who crossed the Atlantic. European intellectuals in large numbers looked to the remarkable American example with the future of their own countries in mind. Alexis de Tocqueville's examination of American democracy, which was profoundly influential across Europe, was just one of the publications that fostered perceptions of the United States as an uncommon country. Such eloquent studies, the work of travelers, journalists, and literary and other public figures, were often designed to further political causes at home and were doubtless more influential than those of academic historians, which were slow to appear. In the nineteenth century, professional historians in Europe kept their sights firmly on the histories of their own countries and empires, as befitted an age of nationalism. American history could be regarded simply as a somewhat dubious and recent by-product of European history, an aspect of the European diaspora, hardly worth further attention. Germany was something of an exception. Enlightenment ideas had penetrated universities in the eighteenth century, and professorial interest in American matters was early personified by Christoph Ebeling, who between 1793 and 1816 offered seven volumes on the land he called the "Mother Country of Liberty." German educational reforms developed the PhD degree, based in part on original research in primary sources, and from the mid-nineteenth century the kind of historical methodology associated with Leopold von Ranke, with its reputed scientific empiricism, attracted many visiting American scholars. Hermann von Holst wrote his multivolume Constitutional History of the United States in Germany before returning to the United States in 1892. Academic historians elsewhere very occasionally engaged with American history. In France, Édouard de Laboulaye, a sympathizer of the Union cause, published a political history of the United States; also showing an interest in the American liberal experiment was the Russian constitutional historian Maxim M. Kovalevskii, who was rewarded with dismissal from the University of Moscow in 1887. But the promise of America was a promise about the future, not the past, and it was really political and social scientists who pioneered serious scholarship of American matters. In Spain from the 1870s the Havana-born political scientist Rafael María de Labra published several works on the United States. James Bryce's The American Commonwealth appeared in 1888, and the Russian political scientist Moisey Ostrogorski (then living in France) offered Democracy and the Organization of Political Parties in 1902. A few years later, Werner Sombart asked his celebrated question "Why is there no socialism in the United States?," inviting subsequent European historians to consider applying a class analysis to the country. A rather grudging academic interest in American history emerged in Europe, not entirely coincidentally, as a more ominous image of the United States began to challenge that of the liberal dreamland. The Spanish-American War of 1898 had an impact well beyond Spain. If the United States could take colonies from one European country, why not from others? Such anxieties promoted a debate about the nature of U.S. imperialism. In France, for example, the few doctoral dissertations on the United States before 1898 had almost invariably focused on the American Revolution and U.S. constitutional history; now some probed the threat that the United States might represent for the French West Indies, with one concluding by asking whether Guadeloupe or Martinique would be next. This reflected a more general awareness in Europe of the United States as a rising power, an awareness that was also an interrogation of the relative positions of European nations in what seemed to be an emerging and unclear new world order. The First World War powerfully reinforced the perception of the United States as a major power. In Germany the war boosted demand for "foreign studies," a distinctive example of the importance of positionality in promoting scholarship, Germany's defeat sometimes being attributed to its failure to understand the nation that had delivered victory to the Allies. An important dimension of foreign studies, according to Friedrich Schönemann at the time, should be Amerikakunde, an integrated study of American civilization drawing on the social sciences (though this at first made little progress). Woodrow Wilson's sensitivity toward self-determination keenly burnished the American image in eastern and central European countries looking for the reassurance of friendship from a "sister republic," as did Herbert Hoover's role in the American Relief Administration. In Poland and Czechoslovakia in the early 1920s there was popular fascination with the apparent moral, economic, and cultural superiority of the United States, which could be cast as a kind of reproof of established regimes (including the Soviet Union, with its uncomfortable proximity). The Carnegie Endowment for International Peace donated a library of Americana to Pázmány Péter University in Budapest in 1928 (as it also gave American books to other universities), and an attempt to create an American Institute in Prague eventually succeeded in 1931. 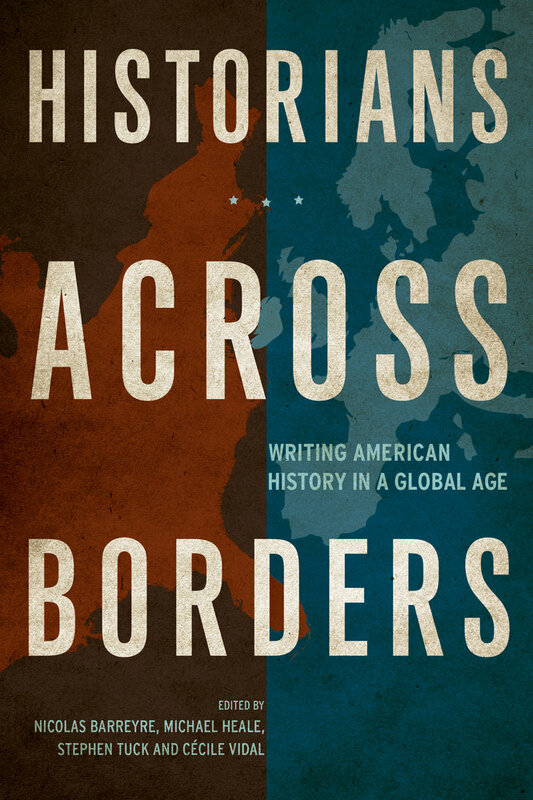 In this stimulating and highly original study of the writing of American history, twenty-four scholars from eleven European countries explore the impact of writing history from abroad. Six distinguished scholars from around the world add their commentaries. Arguing that historical writing is conditioned, crucially, by the place from which it is written, this volume identifies the formative impact of a wide variety of institutional and cultural factors that are commonly overlooked. Examining how American history is written from Europe, the contributors shed light on how history is written in the United States and, indeed, on the way history is written anywhere. 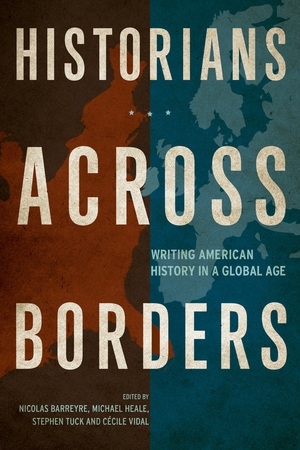 The innovative perspectives included in Historians across Borders are designed to reinvigorate American historiography as the rise of global and transnational history is creating a critical need to understand the impact of place on the writing and teaching of history. This book is designed for students in historiography, global and transnational history, and related courses in the United States and abroad, for US historians, and for anyone interested in how historians work. Nicolas Barreyre is Associate Professor in American History at the École des hautes études en sciences sociales (EHESS) in Paris and author of The Politics of Economic Crises: The Panic of 1873, the End of Reconstruction, and the Realignment of American Politics (2011). Michael Heale is Emeritus Professor of American History at Lancaster University, a member of the Rothermere American Institute at Oxford, and author of Contemporary America: Power, Dependency and Globalization since 1980 (2011). Stephen Tuck is University Lecturer in American History at the University of Oxford and author of We Ain't What We Ought to Be: The Black Freedom Struggle from Emancipation to Obama (2010). Cécile Vidal is Associate Professor of History at the École des hautes études en sciences sociales (EHESS), director of the Center for North American Studies, and editor of Louisiana: Crossroads of the Atlantic World (2013).